Instagram is making it easier for people to post photos to its service without having to unnecessarily crop and adjust their work. The company announced that it’s adding support for landscape and portrait formats. This applies to both photos andvideos starting today. That’s right, folks. 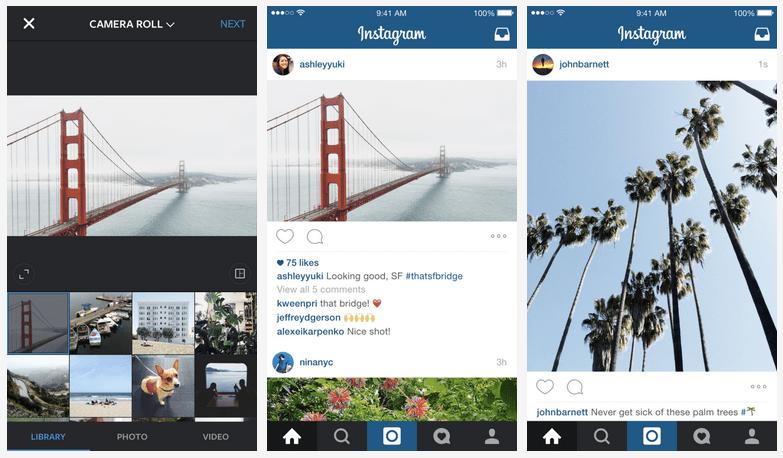 You no longer have to abide by the square ratio that Instagram has had for years. Although the company says that the iconic square format “has been and always will be part of who we are,” it’s more about the visual story that users want to tell, and sometimes constraining that to a ratio that works for Instagram, probably isn’t sufficient. So when you choose a photo or a video within Instagram, tap the format icon to adjust the orientation to be portrait or landscape. After you’ve shared the photo, the full-sized version will appear to your followers, but in your profile grid, it’ll be shown as a center-cropped square — Instagram wants to keep the clean feel in some places. Filters are also being tweaked: now you just need one set of filters for all types of moments, no matter whether you’re sharing a photo or a video. Instagram says you can also adjust the intensity of the filters for videos. For a long time, photographers have been using workarounds to share their uncropped photos on Instagram. Tools like Instasize have become popular for helping modify entire photos into the square format so it can be shared on the Facebook-owned photo social network. But slowly, Instagram has started to adapt these features into its service, starting with its collage-enabling app Layout.